HomeCinemaMasalaFarhan Akhtar is all set for his first Single and here is the proof! From direction to writing to music to acting, there is hardly any facet of films and filmmaking that Farhan Akhtar wouldn’t have explored. The multi-talented star is now considering of taking his love for singing a step ahead. In fact, he is all prepared to launch his first single. And furthermore, he has also started shooting for it. 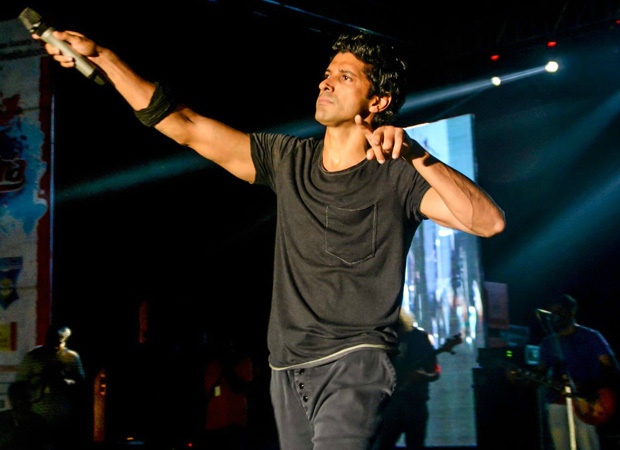 Fans would be aware that the past few months have been quite musical for Farhan Akhtar. In the sense, the filmmaker-actor has been channelizing the inner musician in him at concerts. Reports of the singer performing with his band for charity purposes have been doing the rounds for quite some time now. And now, Farhan has decided to take his dream a step ahead by collaborating for a single. Farhan Akhtar is all set for his first Hindi single. Not only has he sung it but he has also written it. While this is his first single as an independent singer and songwriter, he has also started shooting for it. In fact, his recent post on Instagram is a proof of it. How? Well, do you remember the actor posting this picture? Yes, Farhan Akhtar is in Iceland. While it was speculated that he has taken off to the beautiful location for a break, let us tell you that it is a work trip. His hashtag, ‘Mystery shoot’ was a reference to the shoot he is doing of the said single. Considering that he has also gained momentum as an actor, it doesn’t come as a surprise that he would be shooting for the music video of the single too. But we wonder if there is any other actor or actress accompanying him in this video? Details of the same are however kept under wraps. Coming back to the track, Farhan Akhtar is collaborating with Rochak Kohli, who in the past is known for his collaborations with Ayushmann Khurrana. As for the music video, it is expected to release in August.